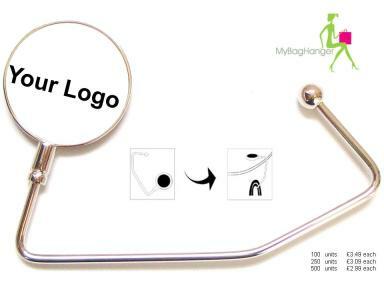 We offer to custom our hook with any logo. Two styles of handbag hooks are available. The classic hook and the foldable hook. Our minimum order is 100 units. Production time: 10 working days to produce an order of custom handbag hooks up to 1000 units. Please fill out the following form and upload your logo to get a free art work. We customise our handbag Hangers with any corporate logo or designs. A bag hanger is a great & innovative way to promote your business. 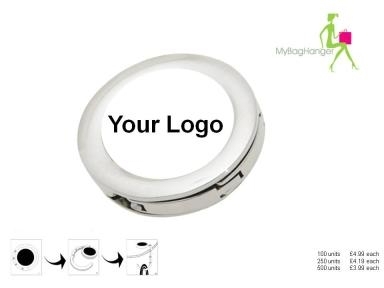 of your personalised handbag hook.